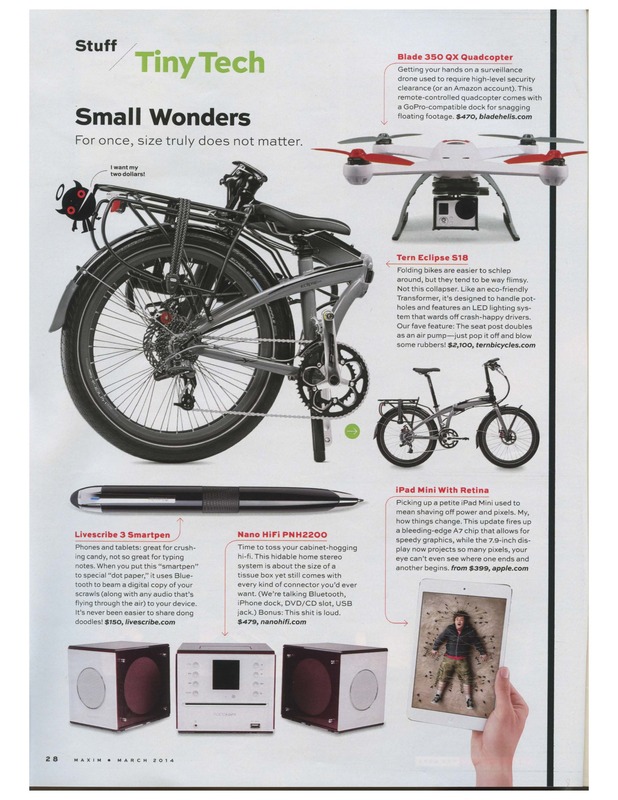 Home › Press & Events › reviews › Small wonders - For once, size does not matter. Folding bikes are easier to schlep around, but they tend to be way flimsy. Not this collapser. Like an eco-friendly Transformer, it’s designed to handle potholes and features an LED lighting system that wards off crash-happy drivers.